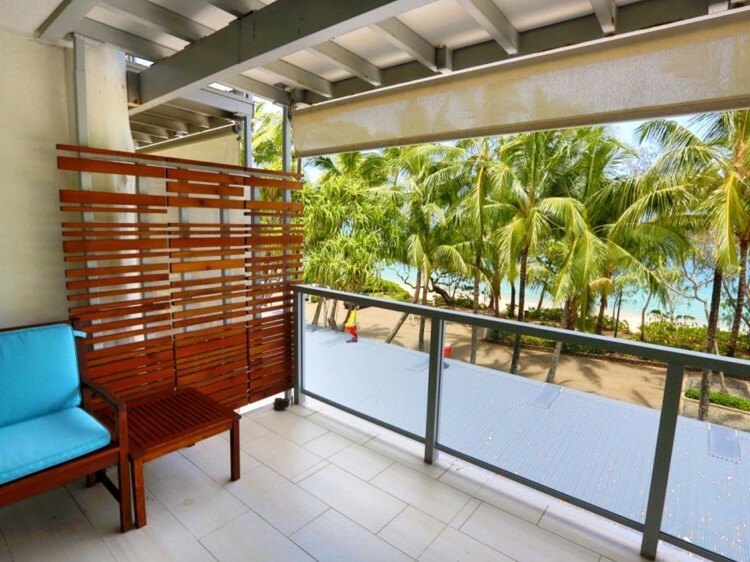 Situated on Palm Cove's esplanade, the design of Drift incorporates themes of the beach and the lush tropical rainforest of Far Northern Queensland. You can choose a condo style beachfront apartment or traditional style beachfront apartment. Listen to the waves and the warm summer breeze setting the leaves of the majestic Melaleuca paperbark trees in motion as it is moving throughout the complex. 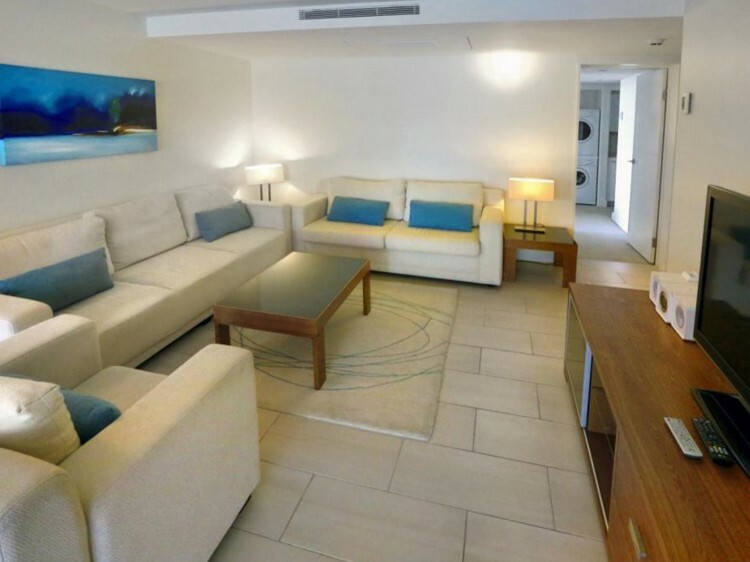 Drift is the place for a relaxing beach holiday in a modern and sophisticated environment. 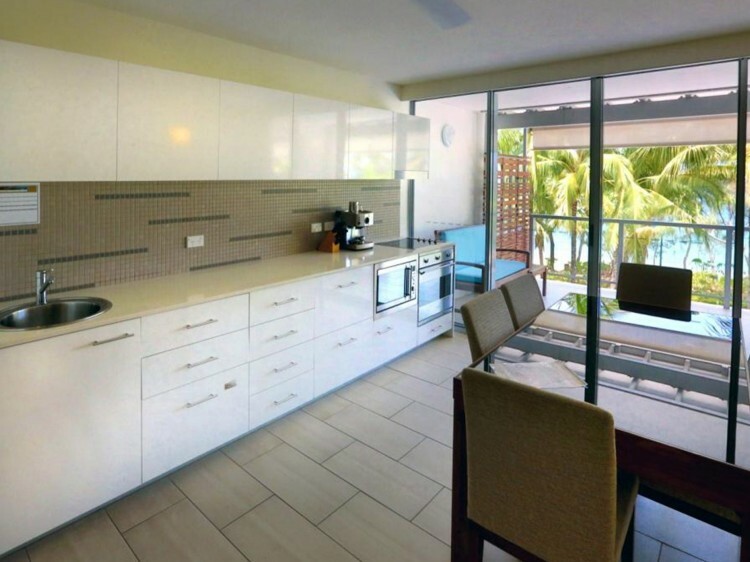 The bright colours of the modern interior are adding a cooling feel to the place and the outdoor furniture is perfect for putting up your feet and enjoying the views of the Coral Sea. 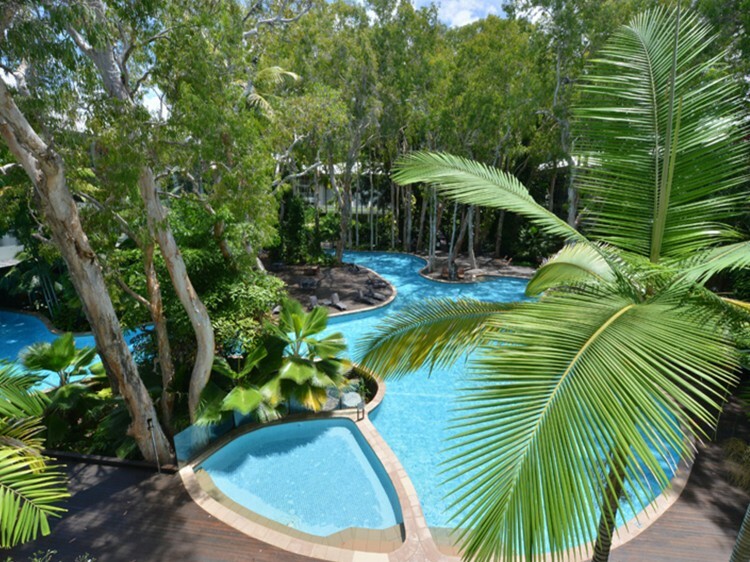 The centrepiece of Drift Apartments is the large lagoon pool that is inviting to a swim after a day of shopping in Palm Cove or experiencing one of the area's many attractions. Several lounge chairs are provided on the wooden deck surrounding the pool in the landscaped tropical gardens. All apartments are fully airconditioned to resist Queensland's all-year-round summer temperatures. The open plan living design of the apartments enhances a feeling of calm and freedom. Pamper yourself with a spa bath looking out towards the sea. Enjoy preparing fresh meals with local produce and dining alfresco on your private balcony. You will quickly feel like home in these well-equipped and luxurious apartments. With four cafes, three restaurants, hairdressers and boutique retail shops conveniently located on site, everything that you need for the enjoyment of a holiday is right at your doorstep.